A clean and simple card for you today. 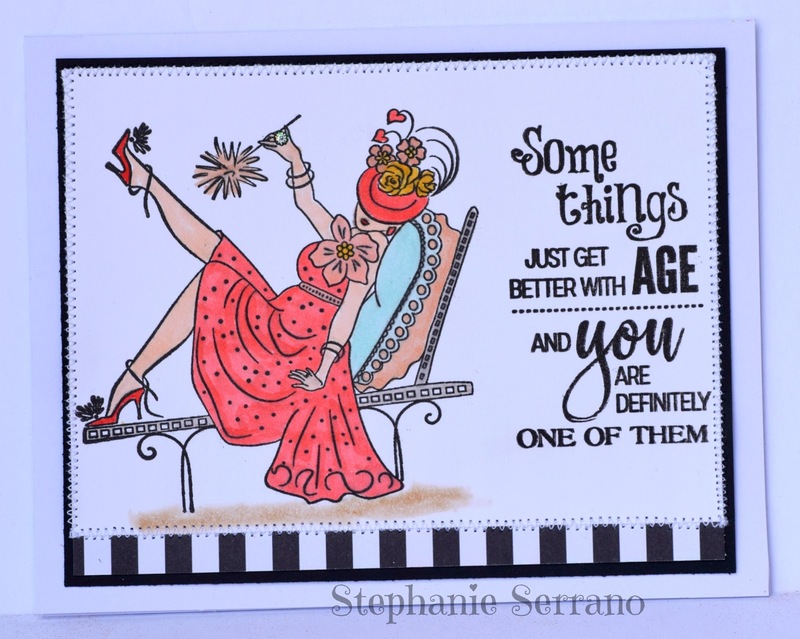 Both the sentiment and the lady are from Penny Black Stamps. I colored with copics and the paper is from my scrap bin. Such a super fun card ! 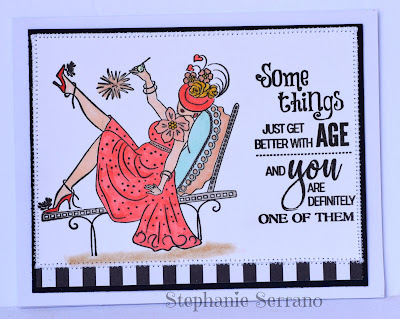 A really fun card and lovely welcoming colours, many thanks for sharing with us at Penny Black and More June challenge. this is precious, luv the design! I am so glad you played along with us at simon says stamp wednesday challenge! What a funny card. It made my smile.